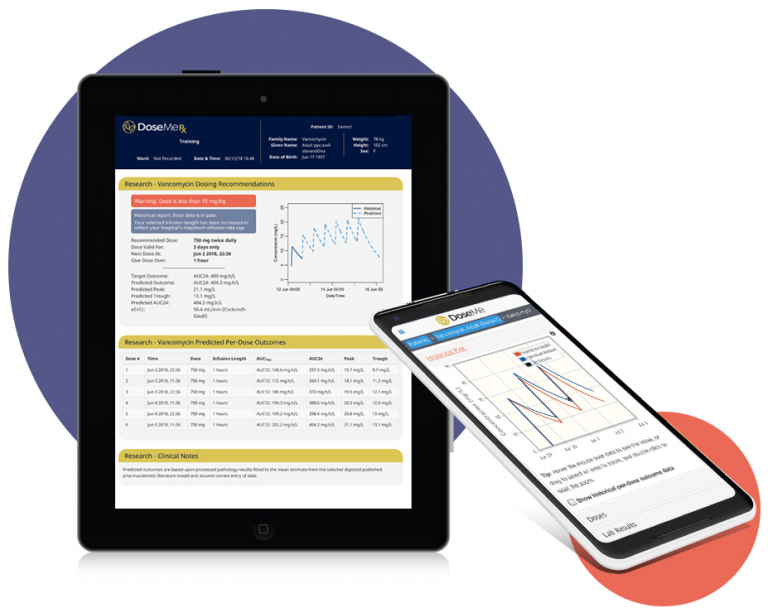 Intuitive, easy-to-use tool that provides you with real-time clinical decision support. We keep your sensitive information safe as a fully secure, HIPAA compliant platform. Mobile and tablet apps for iOS and Android available on all license package options. 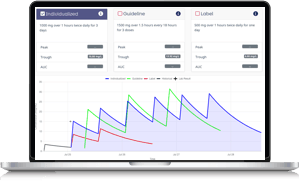 "It’s a straight-forward way to implement AUC-based decision making in vancomycin dosing while at the same time minimizing the number of levels needed. It’s a win, win...DoseMeRx solves my need." Quickly and easily customize a dose to a range of therapeutic targets. Choose from Trough, Peak, Peak-Trough, AUC, MIC and Time in Range. You can then compare this to your hospital's guidelines and label dose recommendations to optimize your decision making. Therapeutic drug monitoring no longer needs to be rigid or trial and error. With DoseMeRx, you can accurately interpret blood levels taken at any time. Then customize a patient-specific dose from as-little-as one blood level to reach your therapeutic target quicker. 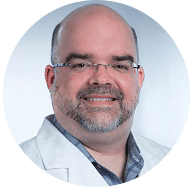 Standardize care with a data-driven approach to personalized dosing across your health service for rigor and reproducibility. Algorithms identify your patient’s variability using blood levels to measure your patient’s phenotype. Whether they vary in genotype, metabolic enzymes or interacting drugs, DoseMeRx helps you minimize the potential risk of drug-related toxicities. 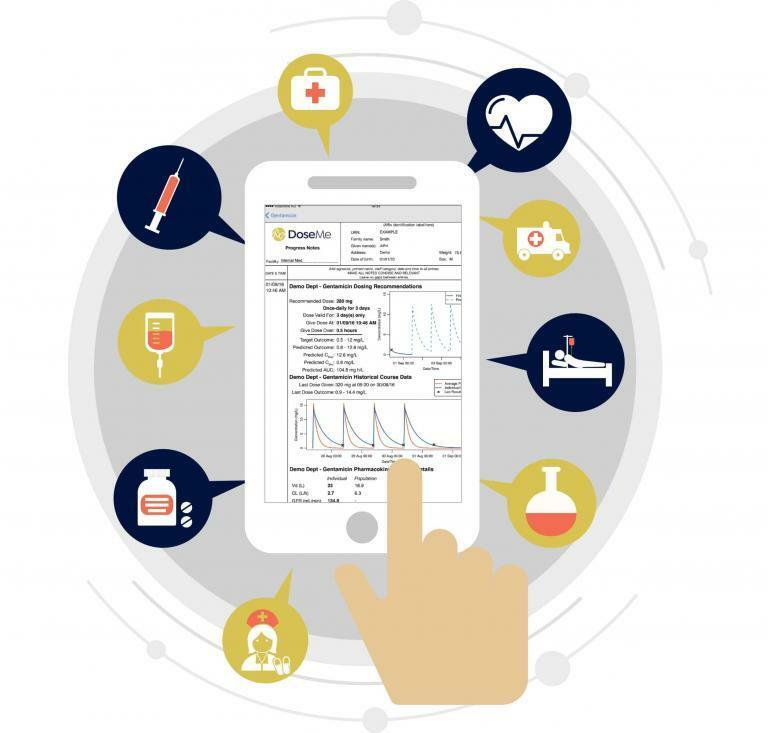 DoseMeRx integrates seamlessly into major EHR platforms powered by SMART® and FHIR® technologies. 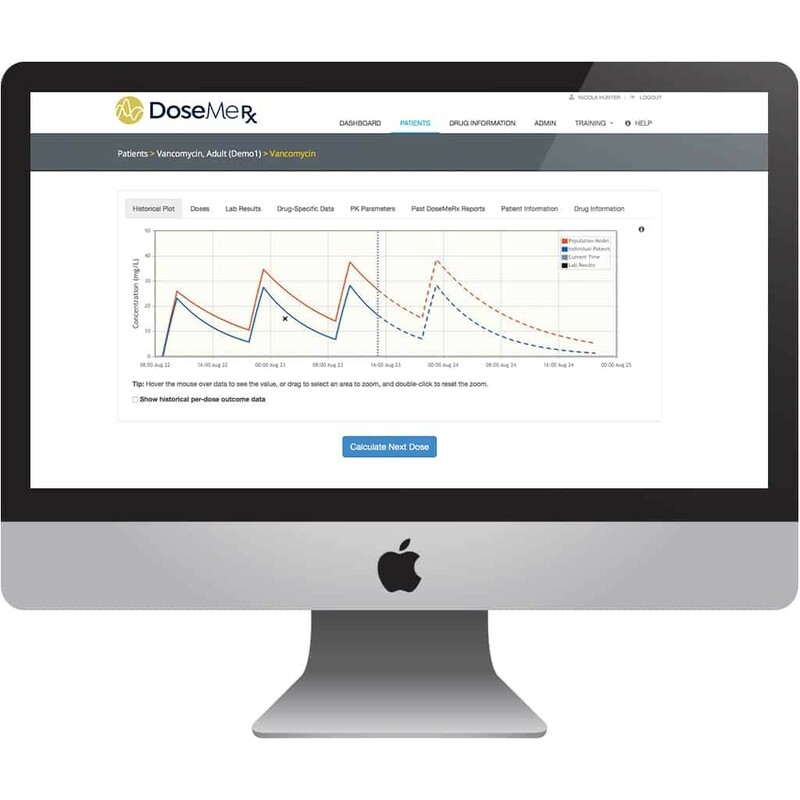 Helping you save time, reduce adverse drug events and improve patient outcomes, DoseMeRx can be rapidly deployed with minimal resources. In the United States DoseMeRx falls within the MDDS and clinical decision support (CDS) carve-outs of the enacted 21st Century Cures Act (2016). While 510(k)-exempt, DoseMeRx is developed in accordance with FDA Class I medical device standards. As DoseMeRx is CE-marked and registered as a Class I medical device in Europe and Australia, you can be assured it is developed in accordance with European and Australian quality system regulations and software validation requirements for a software-based medical device. 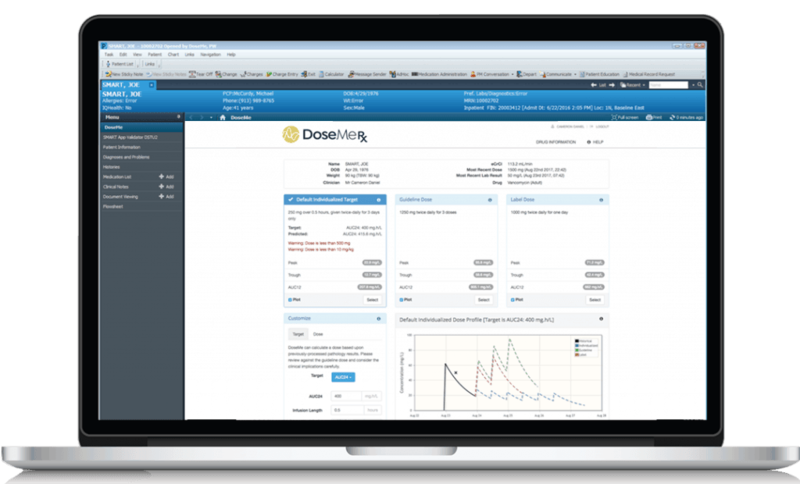 We are continually expanding the range of drug models on the DoseMeRx platform. If you’re interested in a custom model, our custom drug model process makes it simple and safe.